There’s a huge, epic fight as the seven heroes struggle to contain the chaos. It’s full of lots of nice moments: Spider-Woman remembers how to fly; Spider-Man gets mobbed by all his angry rogues; and Luke Cage beats the crap out of the Purple Man. In the end, they manage to contain many of the escapees. He convinces a reluctant Iron Man to come on board and extends invites to every other hero who responded to the breakout. 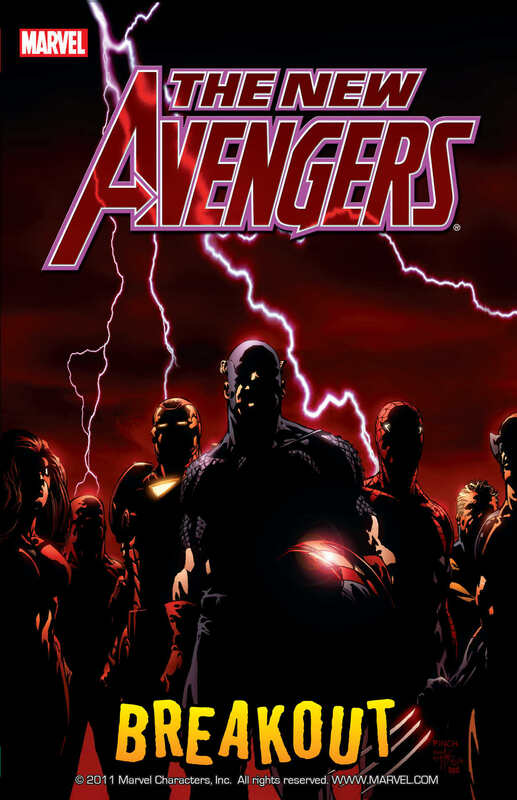 Daredevil gives him a hard no, and the Sentry is MIA, but the rest accept, and the New Avengers are formed. The team’s main goal is tracking down the escaped supervillains and investigating who hired Electro and why. This leads to them crash-landing on an island of dinosaurs, picking up Wolverine of X-Men fame, and all sorts of crazy stuff. In the meantime, they’ve got to figure out what the heck is up with the Sentry, and—wait, is Spider-Woman a traitor? This series had a huge impact on the state of the Marvel Universe, and I’d go so far as to call it a contemporary classic. If you missed it when it originally came out, you can buy the first volume here. Avengers Assemble! What’s your opinion on the New Avengers? Want to fangirl with me over Avengers EMH? Share your thoughts in the comments! I remember this one! Read it back in college, hadn’t read any Avengers for while before seeing it on the shelf. Blew my mind!